Self grown greenery: A brief look. Lately, I have started taking an interest in the difference between eating shop bought produce and doing it at home. My father has been doing a small scale grow every year in a greenhouse at the bottom of the garden, growing tomatoes and cucumbers mainly but sometimes making a foray into other areas like red and green chili peppers. The cucumbers are sometimes a little hit and miss but you cant beat a tomato straight off the vine, whether it be cut up into a salad or turned into a sauce. Now this little taste of it has given me inspiration to take a lot more of an interest in the next mini crop at the end of the garden. 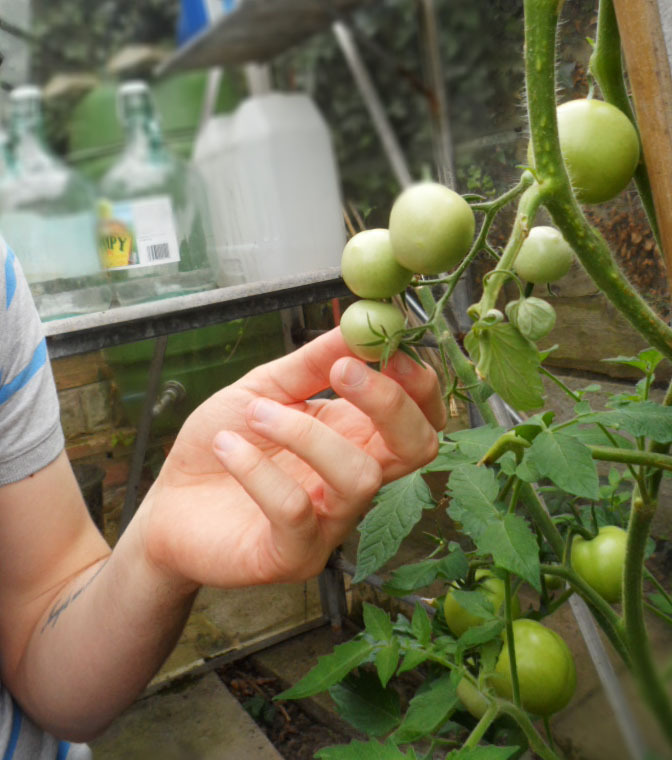 Were in August now and coming up to the end of the summer, the tomatoes we have are about to start the end cycle of their growth and the cucumbers are nearly ready to be pulled off, so I will be planting some late in the year seeds once the next harvest has finished. I can see a big opportunity to grow some really great herbs and veg. Garlic is something I am certainly going to try to produce as I tend to use a truck load of it, same goes for basil and coriander. Now why would you want to? In the current financial climate that is referred to over and over in modern media ( I guess I’m part of that now too) its more important than ever that some people look after the money they earn each week or every first of the month. While it seems like a lot of bother to grow anything yourself it can be really rewarding and can save you money if you put it into perspective. For example; in my local supermarket a bunch of Basil is priced at around 80p, whereas a potted basil plant is £1.85. 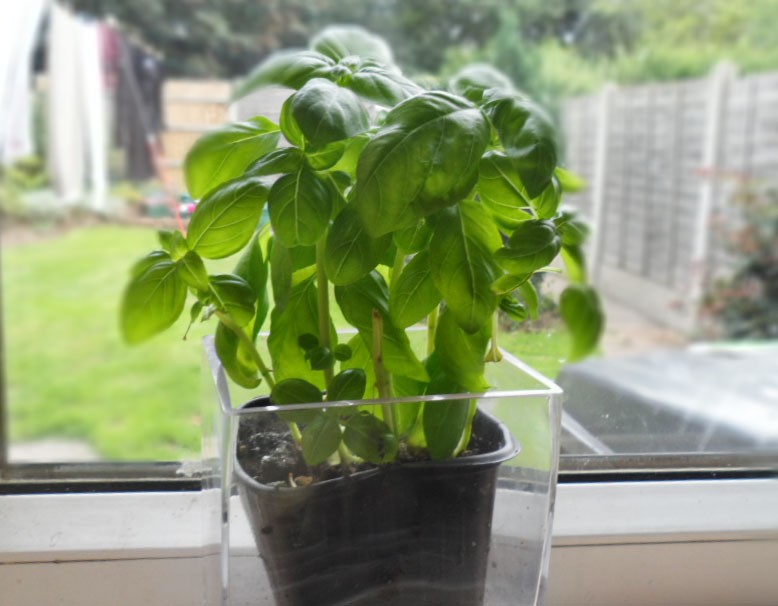 So by buying the plant (or two, like id advise and keep them in rotation) can over time, if you look after it properly, produce a constant conveyor belt of beautiful, fragrant basil for you to toss into your salads or use in your next pasta dish sitting on the windowsill in your kitchen. Here in Britain we can never rely on the elements to help us, sometimes even our summers can be cold. Don’t leave it to chance, grab yourself a greenhouse and even heat it if your aiming for something a little more tropical. Otherwise just do your research and move with the seasons. Our green house was second hand and apart from the elbow grease to put it up and prep the area where it was going, only cost us what the seeds were to buy as we tend to move with the seasons. After the initial graft, its only a few months of care and attention and it can save you a whole heap of money. 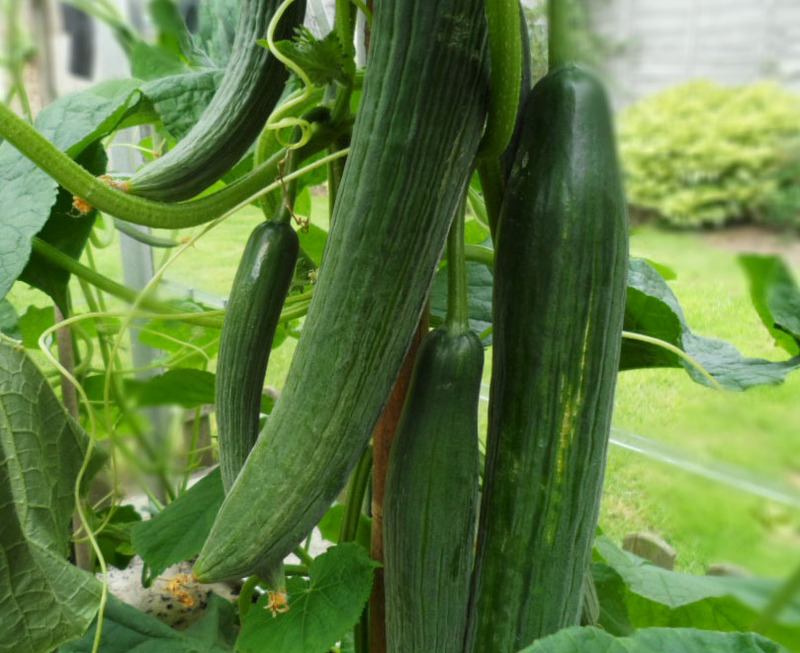 Here are just a few options of what you can use a green house to grow; Tomatoes, cucumber, oregano, basil, parsley, aubergines, chillies, various varieties of pepper, beans, peas or courgettes. And that’s just a small amount of the possibilities. They say food tastes better when its free, I think it tastes better when you create it yourself. This entry was posted in Uncategorized and tagged a, an, and, areas, at, bake, basil, been, between, bottom, bought, but, chef, chili, Chili pepper, cooking, Cucumber, cucumbers, difference, doing, eat, eating, every, father, Food, foray, garden, gecko, great, green, greenhouse, grow, growing, has, have, Home, I, in, interest, into, it, Lately, like, lizard, love, mainly, making, my, of, other, peppers., produce, red, salad, scale, shop, small, sometimes, started, taking, the, tomato, tomatoes, year, Zucchini. Bookmark the permalink.